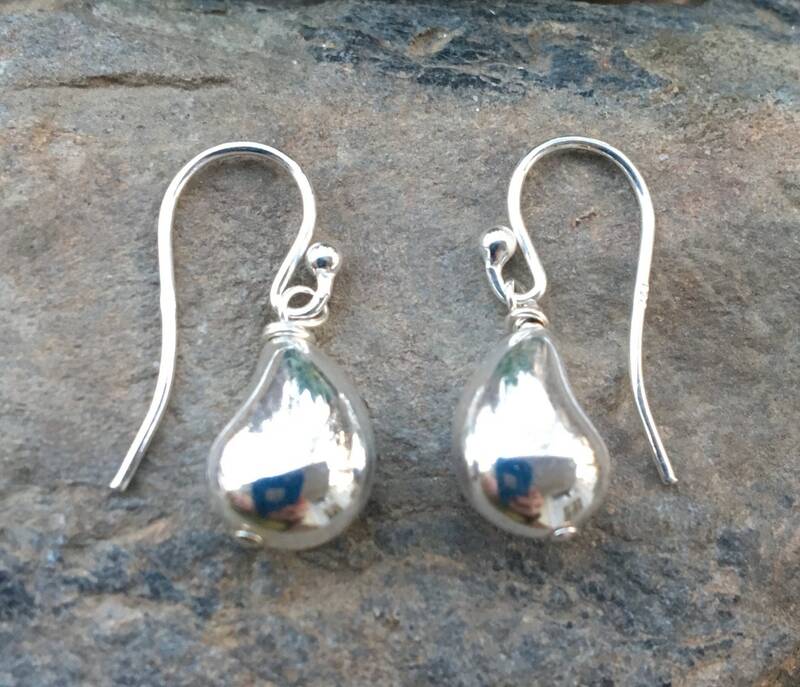 Freeform puffed tear shape earrings made of sterling silver. The front is a traditional teardrop while the back has a curve to it. You may choose between sterling silver ear wires or sterling leverbacks. Measure 15/16” long including the ear wires (regular wire). Arrives packaged in a black gift box with a white magnetic ribbon closure.